Are American B-61 Nukes moving from Incirlik Turkey to Deveselu Romania? Deveselu Romania due to unrest in Turkey. Without knowing any more facts about this story, it is absolutely ridiculous for several reasons which I will explain, and unlike the "anonymous sources" that were originally quoted as saying the move was taking place, I will explain to you why it is laughable and appalling journalism to report and amplify this blatant fabrication. Who the hell are you? Why should I trust you over a news outlet? Good question. I'm the guy who for the past 4 years has been researching Cold War era nuclear weapons storage facilities, and conventional ammunition storage facilities, in Canada. Unrelated? Well, things really haven't changed much. Some of the weapons delivery systems are even the same. Interestingly, my research has also brought me to information about weapons storage facilities internationally, since the United States built all of their nuclear weapons storage facilities to the same specifications, improving them incrementally over the years, but keeping to some basic tenants. 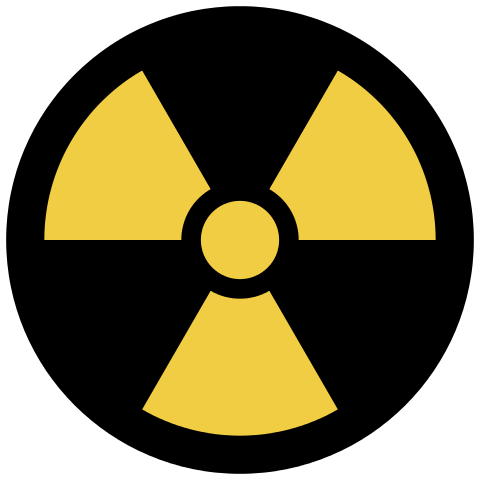 Do I have a PhD in Nuclear Non-Proliferation Treaties? ...Architecture of Weapons Storage Areas? ...History of Nuclear Weapons? No. I'm just a guy with a history hobby who gets really pissed off when the public is taken for a bunch of idiots by wild lies which can be disproven if you're familiar with the topic. 1) American policy has been, and continues to be, to not confirm or deny where their nuclear weapons are stored, which is coy, but not useful when you're trying to figure out the historical record. Therefore, any news outlet which reports they have contacted the US Government, Department of Defence, or Department of State, or whoever, and have received to response or confirmation to the presence or movements of nuclear weapons should not frame this in a suspicious manner or make it seem like an admission of guilt. They never say where any nuclear weapons are stored, ever. They're not starting now; it's not suspicious. 2) American standards for physical security at locations where nuclear weapons are stored are the highest of any facility anywhere. Building standards for weapons storage areas show the fences are higher and cemented into the ground, so you can't dig under them. There are multiple fences, with barbed wire, and a defoliated area around the storage area, so the guard towers, armed with machine guns, can take out any potential threats. Recently, B61 nuclear weapons specifically, are stored in underground vaults that pop up inside hardened airplane hangers designed specifically for F-15E Strike Eagles, F-16s, or other European allied aircraft capable of being used as nuclear weapon delivery vehicles. The American military takes their custodial duties of their state's nuclear weapons very seriously. There is no reason for the American military to take 50 B-61 tactical nuclear weapons to Romania, when there are several other bases in Europe which do have the proper physical security, and some already have nuclear weapons in storage. 4) It isn't just physical security; a Munitions Support Squadron would need to be present in Deveselu Romania to handle the weapons, which is not the case. 5) They're gravity-bombs, Deveselu Air Base no longer has a full runway (not sure how many feet are left); the ballistic missile defence facility is built on top of part of it. 6) Additionally, how would the B-61s be transported there? Normally the Americans do not ship nuclear weapons by ground, they are flown in by heavy transport (C-5/C-17); but without an air strip capable of handling those planes, no such transit would be possible. @natehale notes that McChord AFB has the only nuclear airlift unit capable of moving the B-61 nuclear weapons from Incirlik, and there have been no reports of any movements of heavy transport from McChord. Plane-spotters are very diligent; someone would have seen something. But hey, don't believe me; follow the foremost the experts in the field and make up your own mind. Hans Kristensen (@nukestrat) is the Director of the Federation of American Scientists Nuclear Information Project, and foremost expert in this field globally. Jeffrey Lewis (@ArmsControlWonk jlewis@miis.edu) is the Director of the East Asia Nonproliferation Program, at the Middlebury Institute of International Studies and columnist for Foreign Policy Magazine. Late breaking, Georgi Gotev (@GeorgiGotev) the Senior Editor of the original news outlet to run with this story explains his decision to run with the fake news here. Thanks. Your ignorance on the topic clearly absolves you of any fault in being party of distributing misinformation from the Russian media propaganda machine. You were targeted by Russian intelligence to distribute this story, that paints Romania in a poor light, and furthers the Russian narrative that Romania is a threat to Russia. First the ballistic missile shield facility, now nukes? This paints the picture that Romania is the enemy and will be a target of future Russian aggression. Well done.